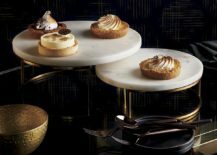 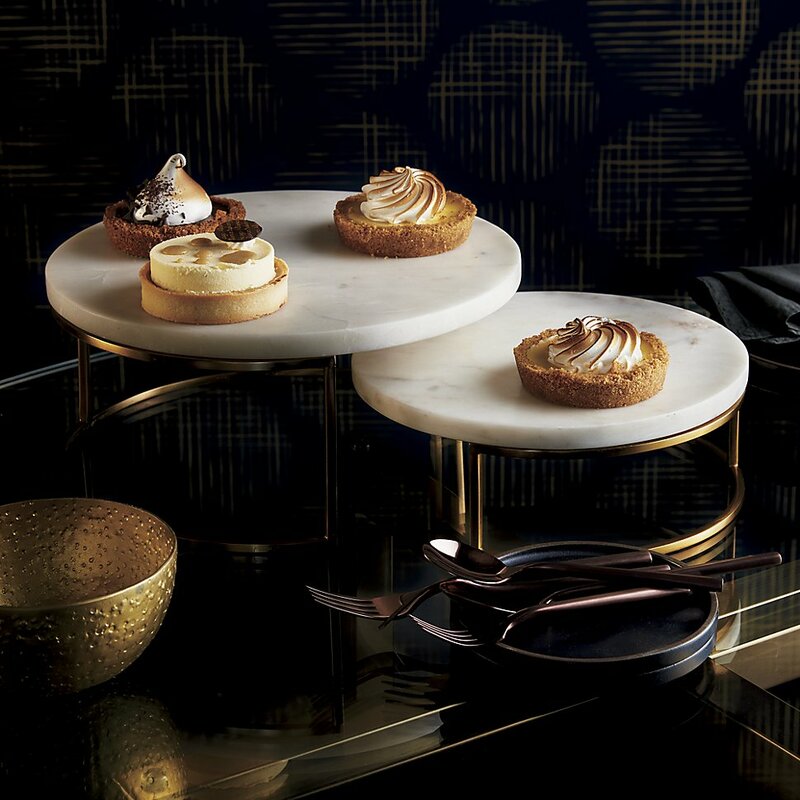 Let’s start by highlighting the ultimate in decadent table design, shall we?! 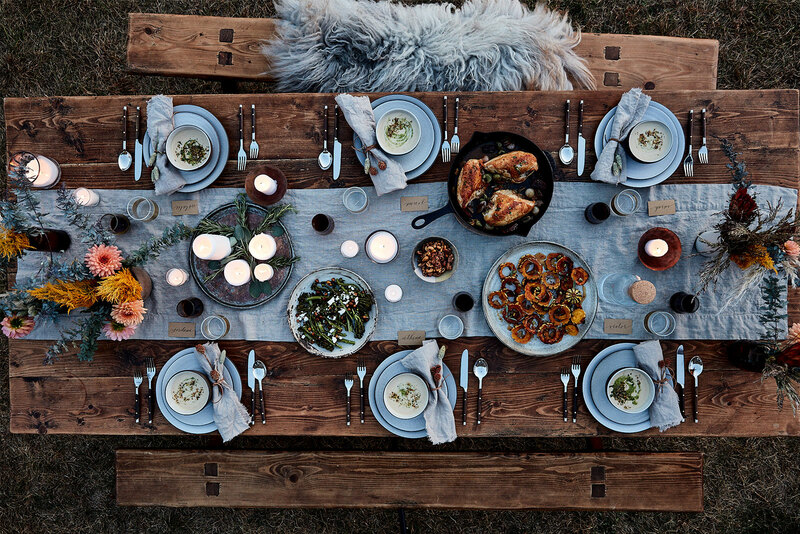 We couldn’t be more excited about Athena Calderone’s new cookbook, Cook Beautiful. 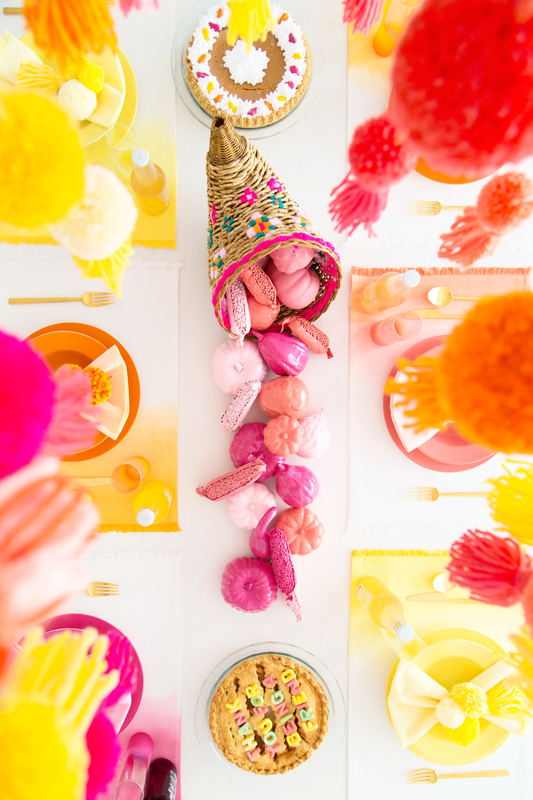 Luckily her blog Eyeswoon is filled with fabulous launch dinner images that celebrate the book’s publication. 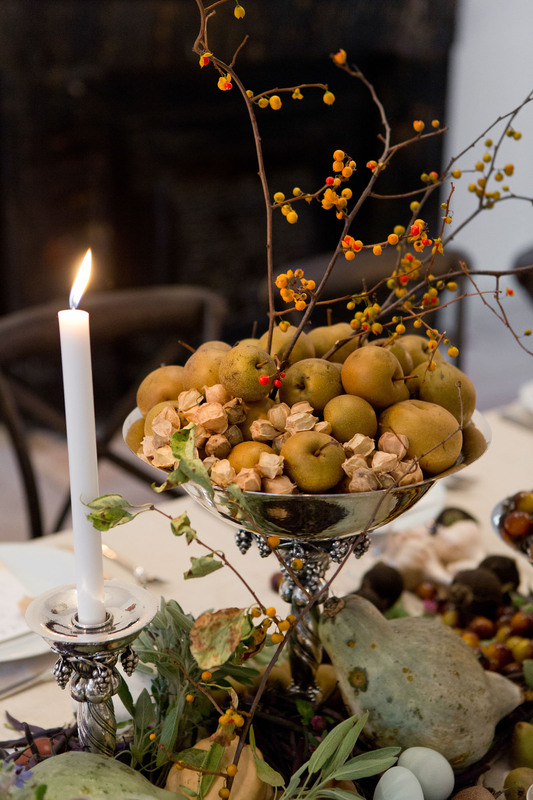 How gorgeous are these centerpieces featuring tableware from Georg Jensen?! 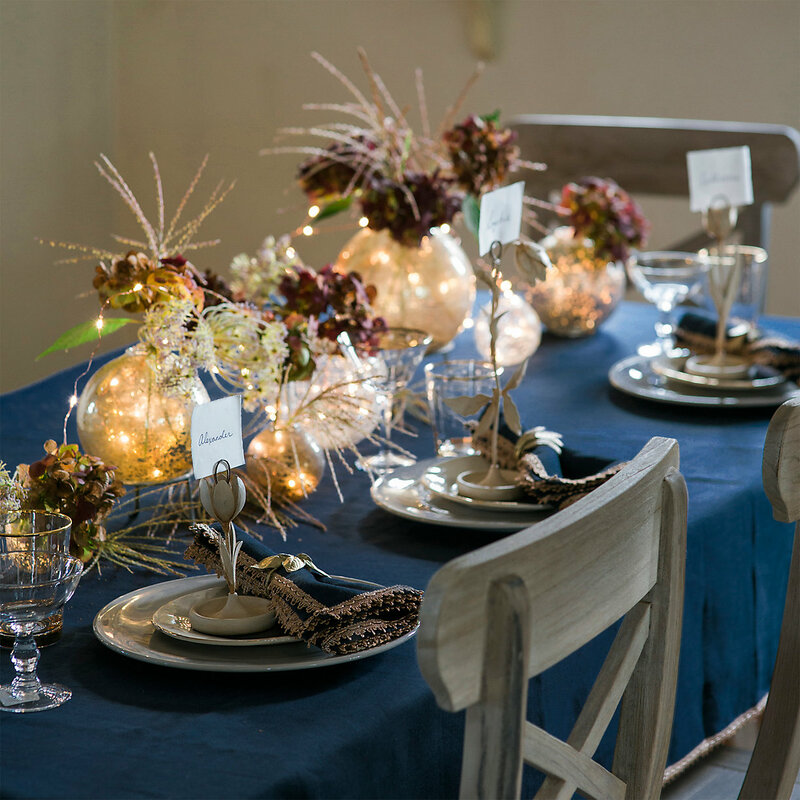 In another table display from Terrain, string lights add a welcoming element to an arrangement of fall decor. 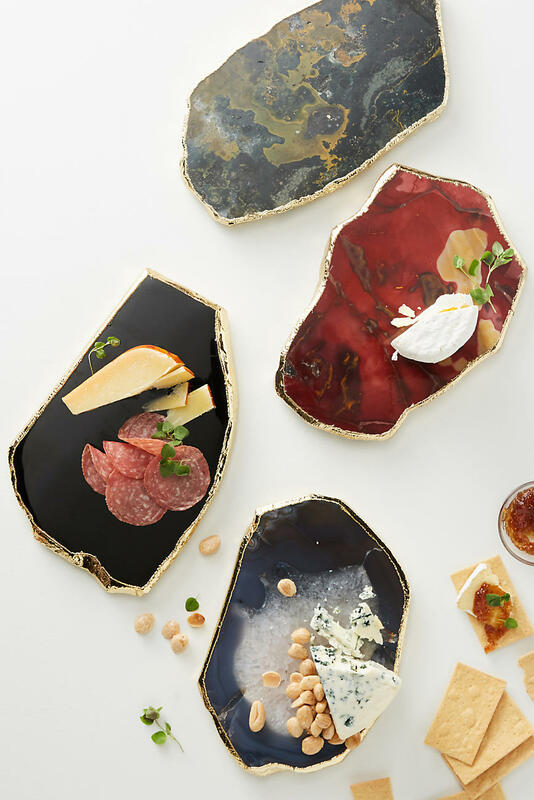 Incorporating glass pieces into the mix will help reflect the light. 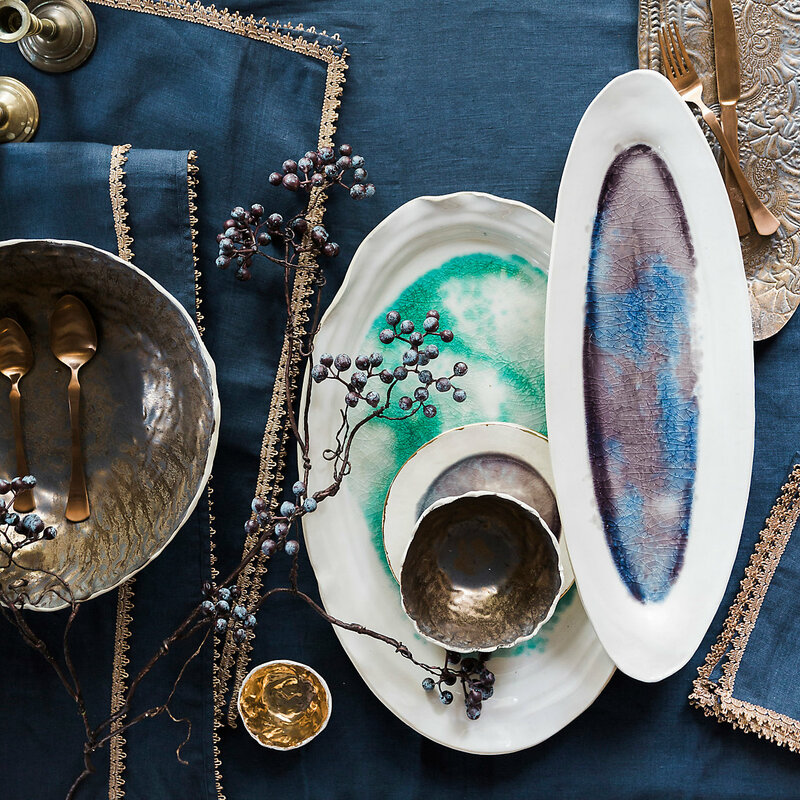 Textiles with gold trim bring decadence home, and they work well with both warm and cool hues. 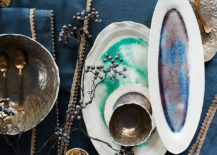 Berry tones meet metallic touches in the image below, also from Terrain. 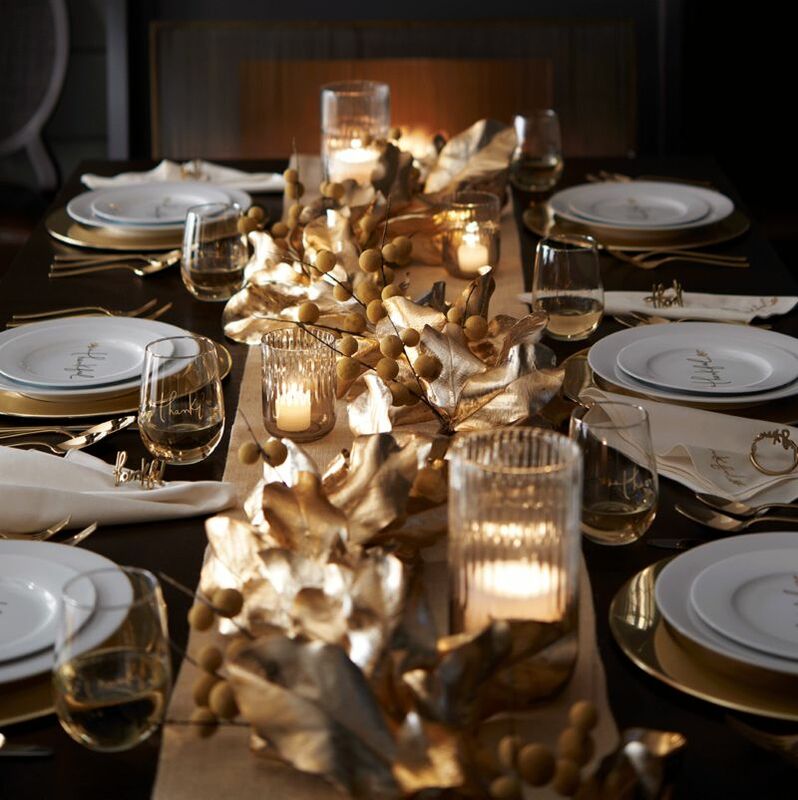 Gold flatware, dinnerware with gold-toned accents and a centerpiece that shines in the candlelight add an opulent touch to this fall table from Crate & Barrel. 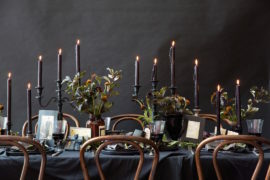 Note how votive candleholders help achieve variation in height. 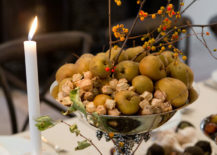 Creating your own bountiful centerpiece doesn’t have to be an ornate undertaking. 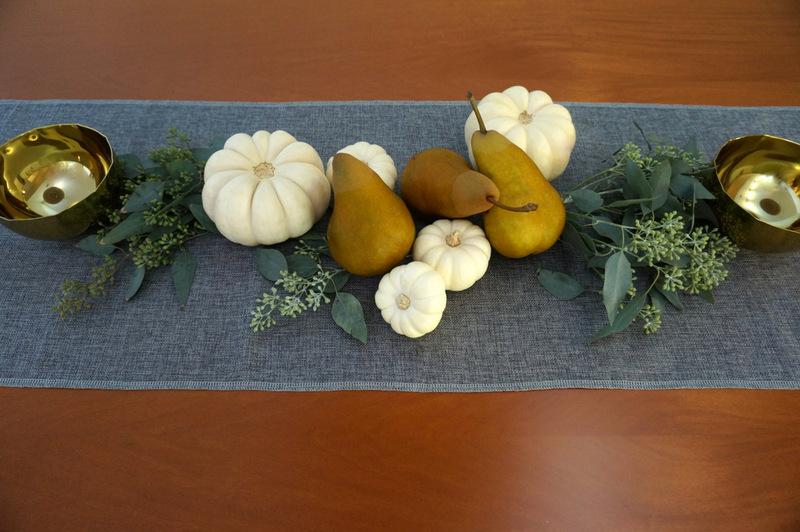 Fresh produce goes a long way in getting the job done, especially when golden pears are involved. 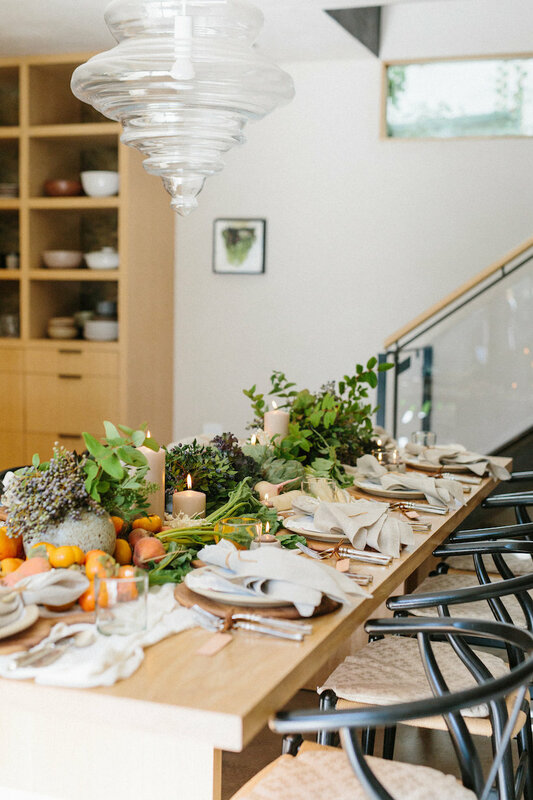 Mixing deep grey with the warmth of wood creates rich contrast, while affordable greenery can make a big impact. 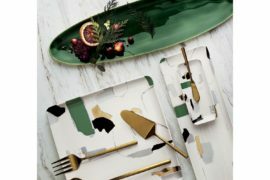 Learn more right here at Decoist! 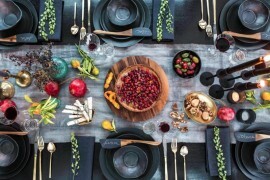 Also from Sugar & Cloth is this Thanksgiving table that exudes a sense of abundance and modern style. 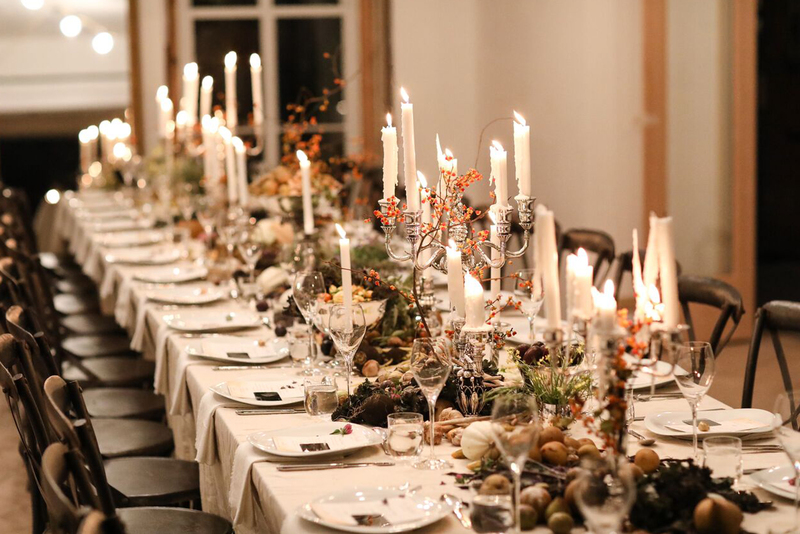 A contemporary menu provides foodie details and an artful element to the feast. 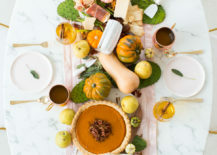 Speaking of modern style, one increasingly popular fall table trend in the design blogging community involves radiant color. 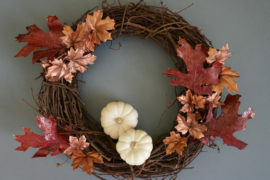 Gone are the traditional vignettes. 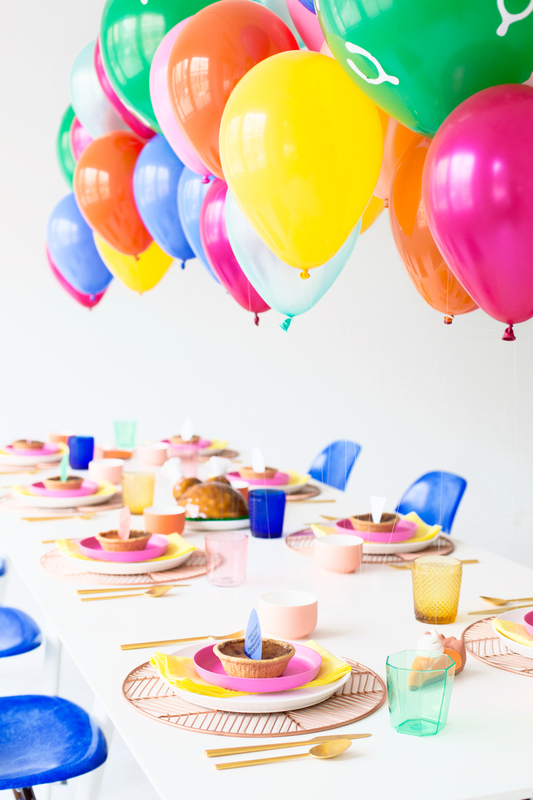 In their place: clean-lined style and vibrant hues. 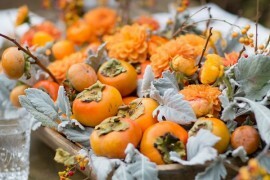 And of course, a sense of playfulness! 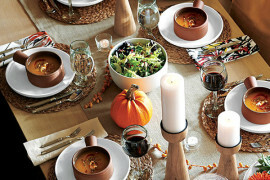 This colorful Friendsgiving even includes the tagline “Let’s crock n roll!” Learn more at Aww Sam. 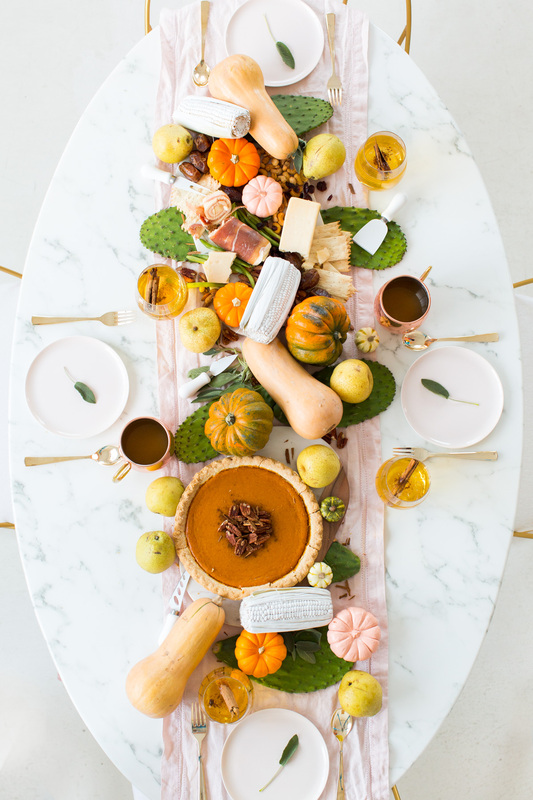 Travel back to 2016 for more colorful fall fun from Studio DIY, this time featuring touches of cobalt blue. 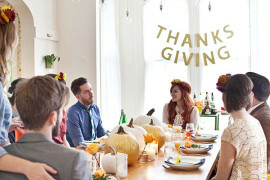 The result: a Friendsgiving table display (complete with balloons) that looks good enough to eat! 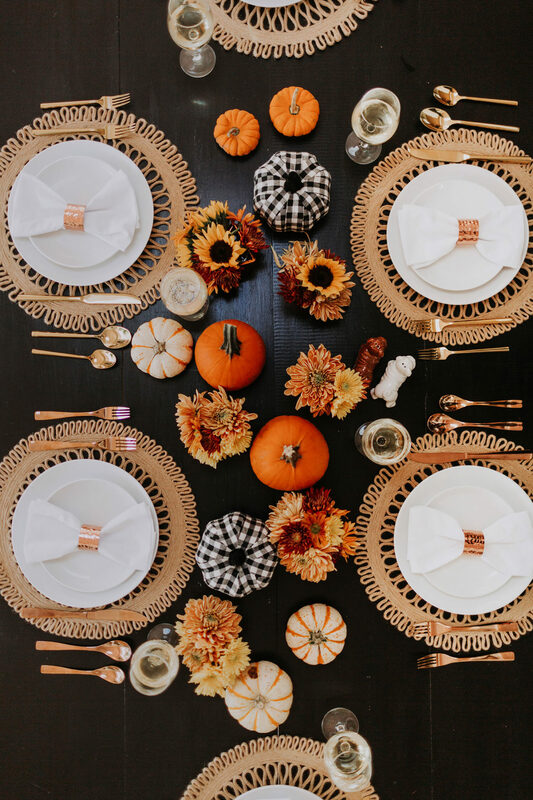 A mix of glassware adds interest to the table. 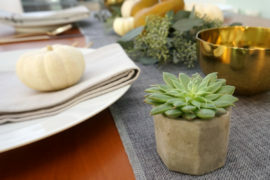 We end today’s post by featuring a trio of fall tables that create a sense of earthy style. 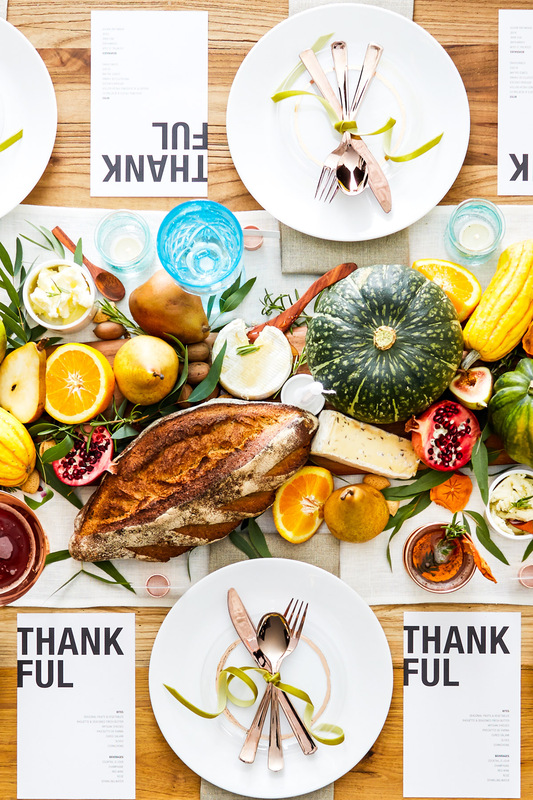 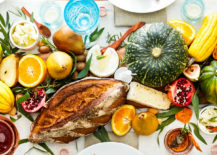 In fact, this farmer’s market-inspired Thanksgiving from Camille Styles piles on the delicious produce against the backdrop of a wooden table. 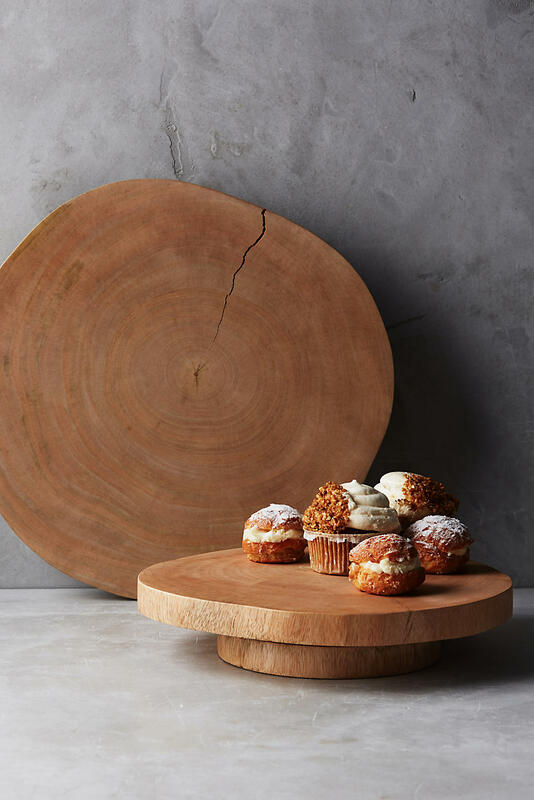 Details such as cutting boards that double as chargers make a big impact. 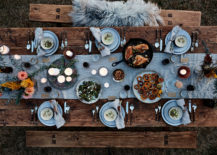 Earthy placemats bring warmth, comfort and a Boho look to this Friendsgiving table from A Beautiful Mess. 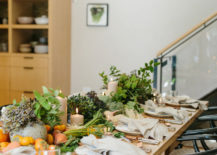 We await this blog’s feast each year, complete with delicious recipes against the backdrop of a beautifully designed table. 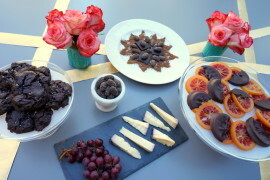 Last but not least, don’t forget the dessert! 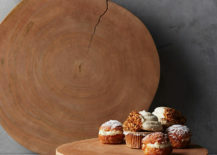 When presented on these mango wood lazy susans from Anthropologie, the look is modern yet warm. 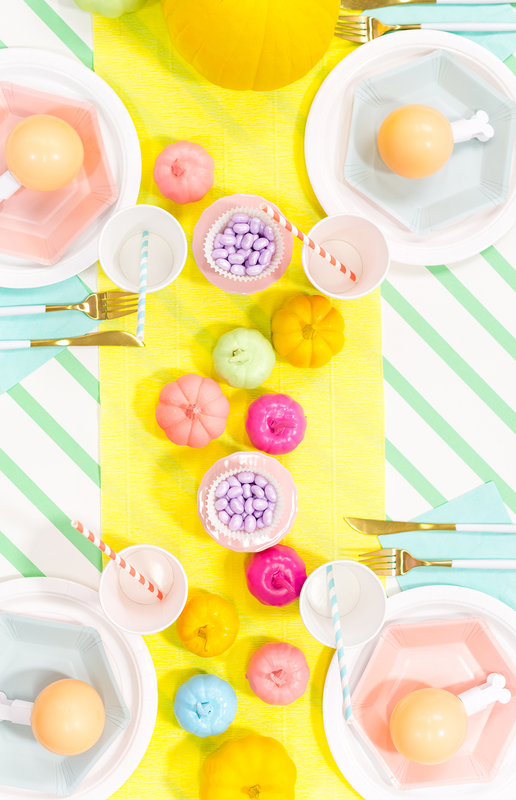 Now who’s ready to enjoy a delicious feast from start to sweet finish?! 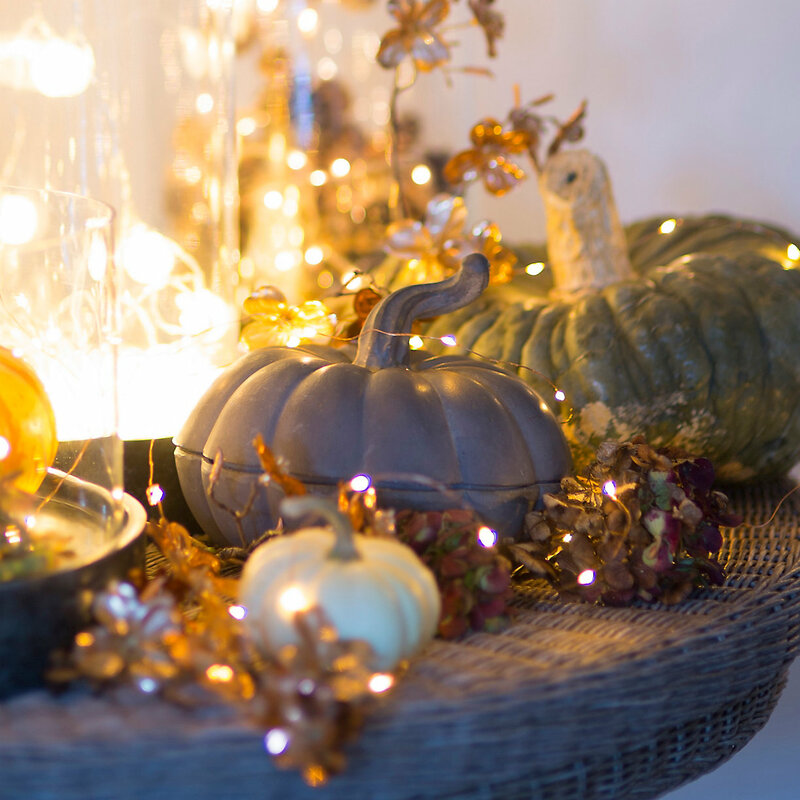 Wishing you a yours a lovely fall, complete with delicious moments.